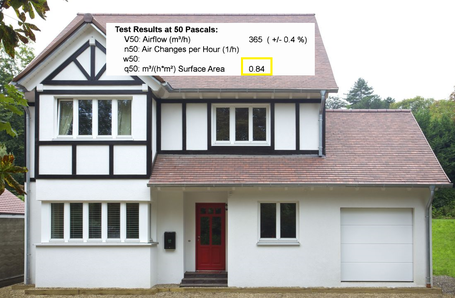 Airtight Building with Breathable Walls - A Contradiction? British Building Regulations require improved air-tightness of a building which is important for the energy efficiency. Does air-tightness not contradict the claim of breathability? Not at all – when talking about air-tightness we speak about avoiding air leakages, for instance by providing high quality windows and properly sealed openings to the outside such as vents, outside lights and taps. Amongst other, the skilful sealing of openings for electricity cables and water pipes is important, as well as the correctly sealed connections of walls and windows. Stommel Haus homes are typically 3 times and more air tight than British Building Regulations require with values of <1.0 m3/(m2.hr)@50Pa. 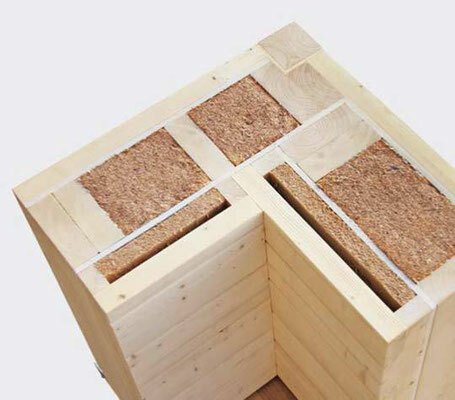 When talking about breathability, we refer to the design of the wall construction, the materials used in the walls and the property of being diffusion open. By avoiding the use of any plastic membranes or similar materials which could cause condensation or the accumulation of moisture, the air humidity in the house stays at a perfect level. This natural control of humidity is a key feature of a well designed timber house and provides a healthy atmosphere for living. Also read about the Stommel Haus wall construction.